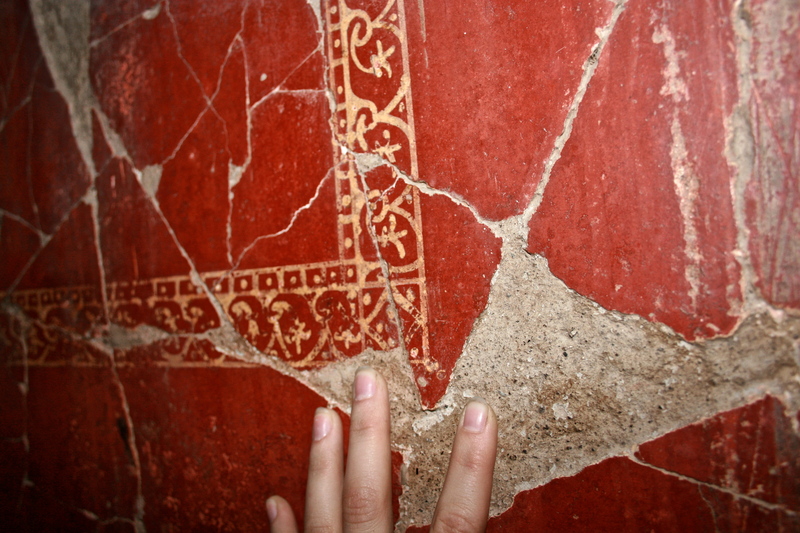 Well preserved frescos, intact ancient building, and your dog can explore with you. Have more caution in the Southern region of Italy. There is more poverty in the south, and it is common knowledge among Italians that Naples is notorious for car theft. That does not mean you can’t have a fantastic time, just use caution. 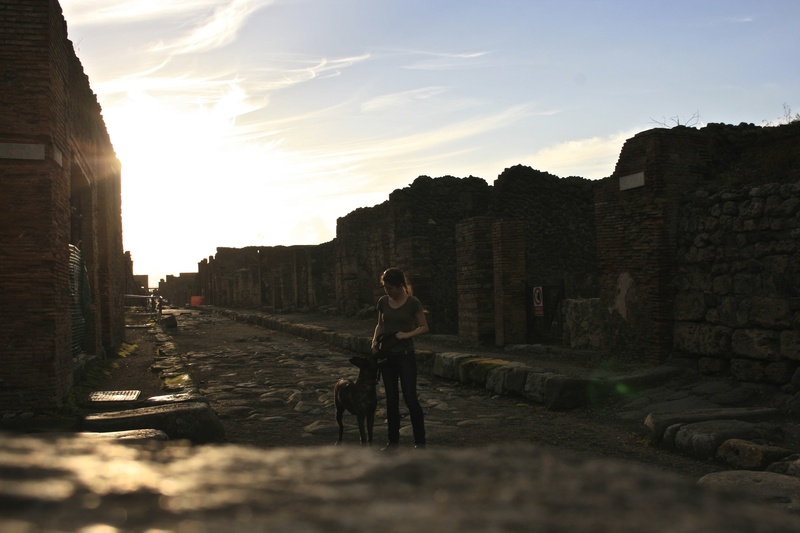 Yes, your dog can accompany you inside the ancient ruins of Pompeii, but beware of the stray dogs roaming about. 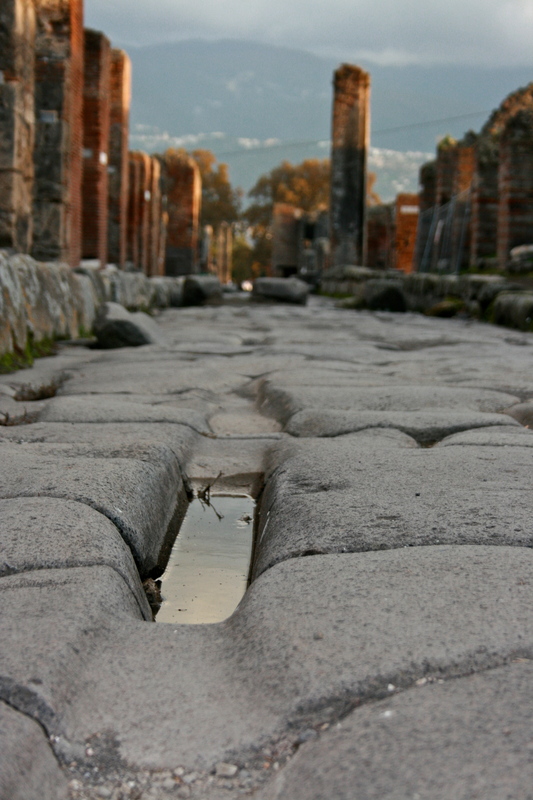 Stone pedestrian crossings, ancient wagon ruts, an ancient amphitheater, and the petrified remains of Pomeii’s inhabitants will keep you occupied for at least half the day so bring your good walking shoes and a bottle of water. There are a couple campgrounds, Zeus and Spartacus, directly across from the ruins at a reasonable price. Spartacus was the cheaper option for car camping. The showers had no hot water and the wifi was pay by the hour. Dogs were of course welcome. 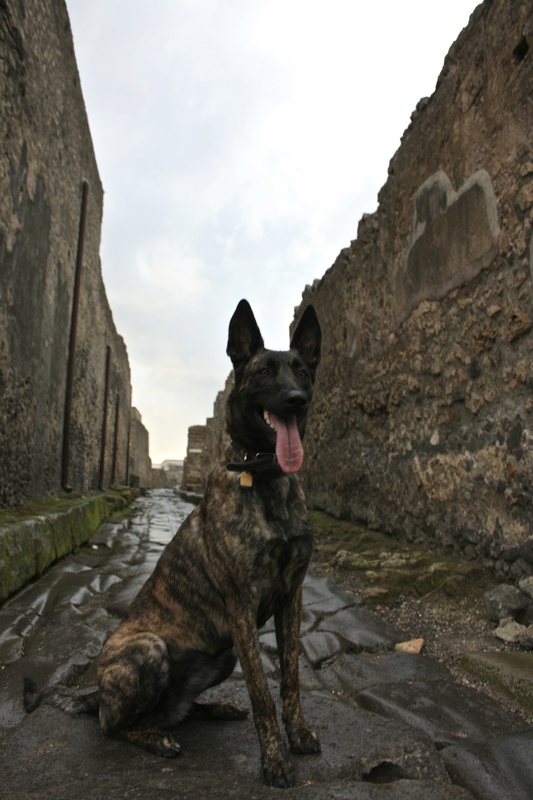 I was surprised Zala was allowed inside the ruins. I am glad I took a chance and asked.